Immerse yourself in the vibe of atmospheric trap and cloud rap music with the one of our best sample packs to date. 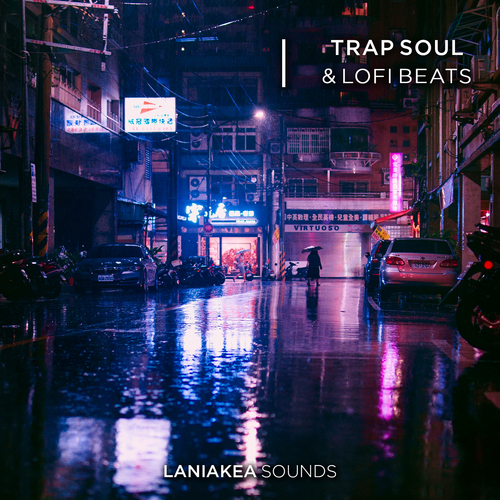 Laniakea Sounds are proud to continue Trap Soul series, offering a unique fusion of Trap and Lofi Electronica sounds with moody and emotive music loops, various drum loops and atmospheric soundscapes. Trap Soul & Lofi Beats brings all modern elements for producing your next trap or cloud rap hit. Get ready to explore an expansive collection of drum and music loops, and be sure to find absolutely outstanding content, includes soft and hypnotic music loops, carefully chopped and pitched instruments, unique drum loops with a special live sound and atmospheric vocals and soundscapes.